Well hello to you my reader chums and long time no see! 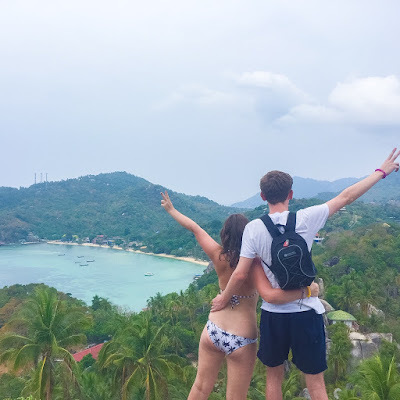 Everything has been a bit hectic lately with me settling into my new job and with lots of different events I've had with friends, which hasn't given me the time to sit down and write a blog post. However, since it's now getting into autumn all the autumn fashion is in and I decided to go on a big shop and get my autumn wardrobe started! The first place I went into was New Look, this shop is honestly one of my favourites, I'm not even kidding when I say the majority of my wardrobe is from there! I have a huge love for Chelsea boots and since I have got so much use out of my black pair, I thought I'd pick up a brown pair for £24.99. I'm literally in love with these and cannot wait to start putting outfits together with them! They are the perfect addition to my autumn wardrobe as I don't have any brown boots and they're super comfy too! The other thing I picked up from New Look was these high waisted navy jeans. I've been needing a new pair of jeans for a while now and thought instead of just a regular pair, I'd choose a high waisted pair as I've always loved the look of high waisted things, I've just never got around to buying any. 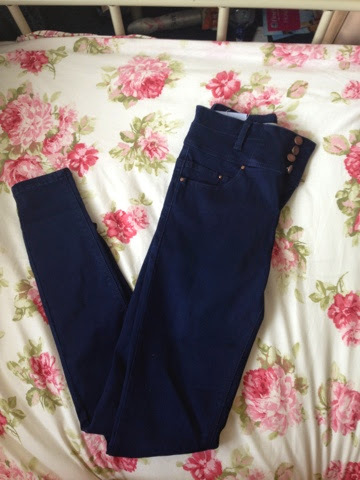 They cost £22.99 and are the most comfiest pair of jeans I've ever worn! If I wore the boots and jeans together I'll be very comfy! Next shop I went to was Primark, what's a shopping trip without a little Primark spend?! 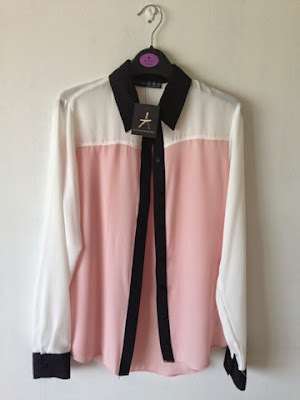 The first thing I picked up was this beautiful pink, white and black long sleeved black collared top. I thought this top would be really versatile because its rather sophisticated and cute so I could wear it to work, or dress it up with a necklace, skirt and heels for a party and even dress it down with a pair of jeans. It only cost £9 which is a total bargain! 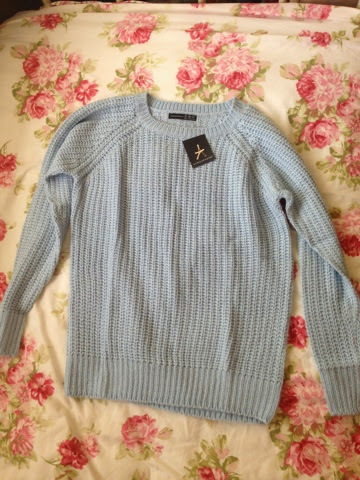 The next thing I picked up was this lovely pale blue jumper. I fell in love with this colour and it was really comfy to wear. One of my favourite things when it gets a bit colder is the snuggly jumpers and I'm so happy to have this addition to my jumper collection. I think I could either wear a collared top and a necklace with this to make it look a bit smarter or on a chill day wear it with some leggings. Its also lovely to add a bit of colour to an autumn wardrobe because I find when it comes to autumn/winter, people begin to wear darker clothes so a nice pop of pastel will be cute at this time of year! This cost me £8. 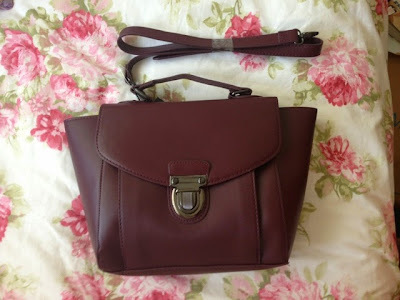 The next item I picked up was this burgundy satchel. To me burgundy is one of the colours that screams autumn! Its the perfect medium size meaning its good for fitting everything in but isn't too big that you have to lug it around. It only cost me £8 too which was a total bargain! 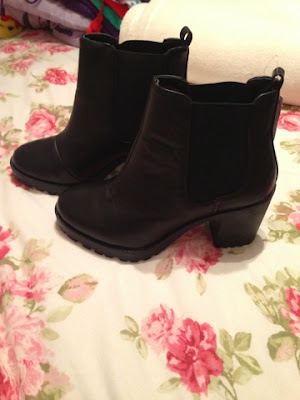 Another thing I bought was yes again some more Chelsea boots haha! I've been on the hunt for some heels but after a few shopping trips I was unable to find any which I liked or suited me. Before hand when I was in New Look I saw some boots identical to these and they were £30, as much as I loved them I was like you just bought some Chelsea boots. However after then not finding any heels and coming into Primark and seeing these for half the price for £15, I decided to pick them up! They have a good size heel on them and are much more comfortable to walk in at a party than if I bought some actual heels. To cut a long story short, they're comfy and I reckon I'm going to get a lot of use out of them in the upcoming months. The last clothing item from Primark was this tartan scarf. 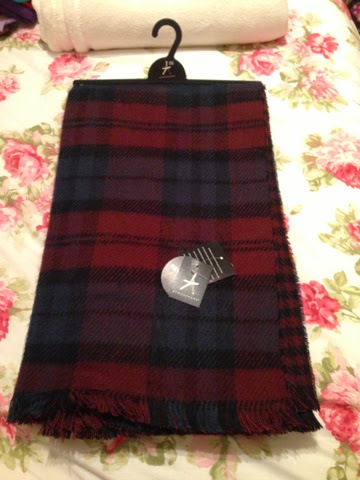 Something this year I really wanted as an addition to my autumn wardrobe was a tartan scarf, I was on the hunt for a while and good old Primark saved the day! This only cost me £6 and feels like such lovely quality as its really thick and warm! 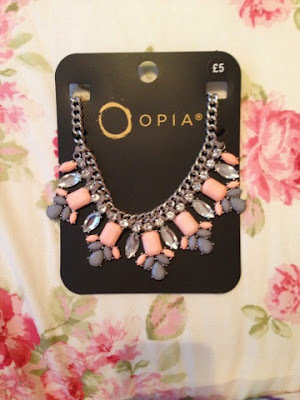 The next item I bought was from Topshop and its probably one of my favourite purchases. Its this beautiful lilac crop jumper. I love it to pieces, it's really comfy, warm and such good quality. It cost me £28 so a lot more than my Primark jumper but it was totally worth it! You can see I'm building myself up a little pastel jumper collection. As its cropped I think its going to be perfect to layer with and it would pair lovely with those jeans I previously showed you. 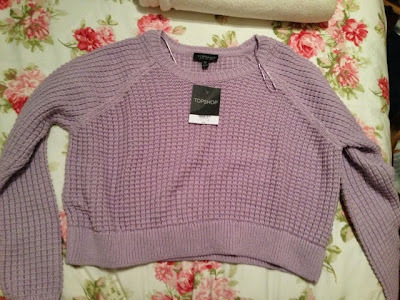 Its a little splurge but its my favourite colour and ahh I just love it. I also picked up a this pretty necklace for £5 in Primark to pair with my collared top I showed you and as I think I could use it in a variety of different looks. Now onto beauty bits, I only got a couple of things as I was mainly on a clothes shop. 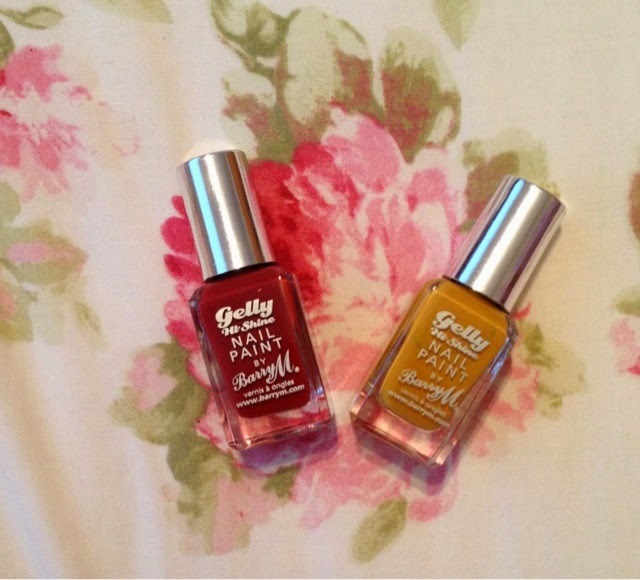 As BarryM released their autumn nail collection recently, I thought I would pick up two of the colours as they're such beautiful shades and in Boots they had a buy one get one half price offer which is always a bonus. I chose the shades 'Chilli' and 'Mustard'. The last item I picked up was Rimmel's Kate lipstick in shade 1. I was on the look out for a lovely red lipstick and as I've heard some amazing reviews from this range I decided to pick it up and give it a go. 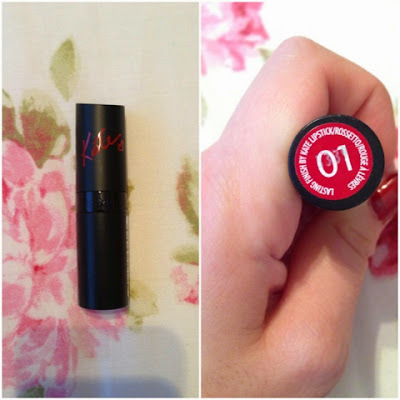 I thought as its getting into autumn too that a its time to start wearing darker lipsticks and this would be perfect! 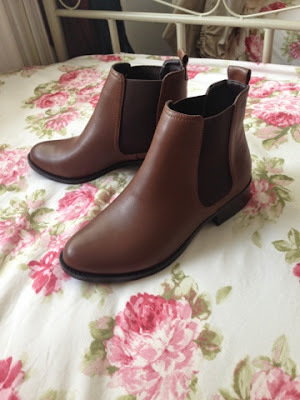 I love Chelsea boots too and have recently picked up a brown pair, I've also just bought a tartan scarf! Great haul, I love the burgundy satchel! I love the Primark satchel, I want one! Fantastic Post :) I'm so jealous of you for having Primark... we don't have Primark here in Malta! I just love everything they have - plus everything's so cheap!!!! Great blog, glad I discovered it. Love the bag and both pairs of chelsea boots, I've been wanting a pair for ages and now I want some even more!